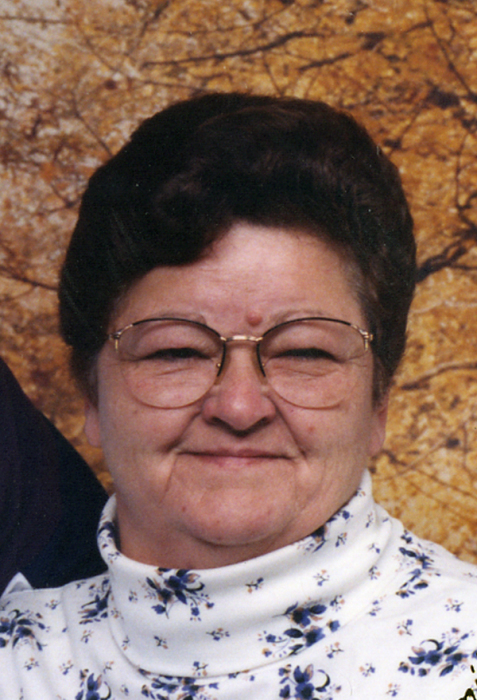 Veronica Laswell Hofmann, 75, of Terre Haute passed away Saturday, January 26, 2019 in Vigo County, Indiana. She was born February 19, 1943 in Terre Haute to Robert C. Sparks and Delores L. (Kester) Sparks. Veronica is survived by her husband Arthur Donald Hofmann; her daughter, Brenda Laswell; step-daughters, Pam Henry (Joe) and Cindy Hofmann (Larry); a step-son, Brad Hofmann; a brother, Kermit Sparks (Mary Ann); grandchildren, Sarina Gounaris (George), Cassandra Kruse, Latisha Guerrettaz, and Briana Guerrettaz; seven great-grandchildren; nieces, Kelly Samaniego, Corinna Hamm (Stan) and Christina Floyd (Craig) nephews, James Sparks and Robert Sparks, Jr. and an extensive extended family. She was preceded in death by her parents, her husband, Jerry Lee Laswell, her daughter, Gwendolyn Laswell Guerrettaz; her grandson, Michael A. Guerrettaz II; her brother, Robert Sparks, and niece Kimberly Sparks. Vickie was a true spitfire known to be heard and speak her mind. In her early life, she raised her daughters, Brenda and Gwen and assisted Jerry with the saw mill, Superior Hardwoods in Montezuma, Indiana. Vickie was a generous mother, grandmother and great grandmother and dedicated much of her time to her kids and grandkids. Later in life, Vickie enjoyed antiquing and attending auctions with her Husband, Don and spending time in Cory, Indiana where she grew up with her family. Visitation will be Sunday February 3, 2019 from 11:00 a.m. until 2:00 p.m. in DeBaun Springhill Chapel with funeral services at 2:00 p.m. in the funeral home with Pastor Paul Myers officiating. Burial will follow immediately in Oak hill Cemetery. Online condolences may be left at www.debaunfuneralhomes.com.